Friday’s Fresh Five! (8/17/12) | What about this? Hand-carried from Paris, France, by my son and new daughter-in-law, these brightly-colored macarons deserve to be eaten while at their peak of perfection. The smooth meringue domes break ever so delicately to reveal a soft and chewy layer hidden beneath the surface. The fillings of cream or jam excite the palate with their complementary, yet surprising flavors. Ah, such is my dilemma . . . should I eat them all in one day? Should I risk their loss of perfection and savor them over the next couple of days? More importantly, should I share them with my husband? Bien sûr, mon cheri! 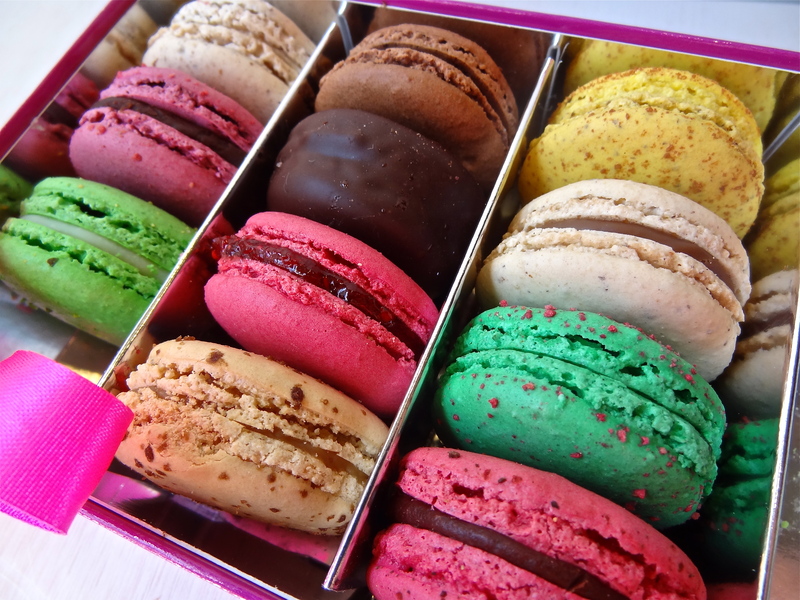 After eating all those macarons, I’m going to need some exercise! With a deadline looming ahead, there’s no time for me to go to the gym right now, so I’m “deskercising” instead. Read Deskercise! 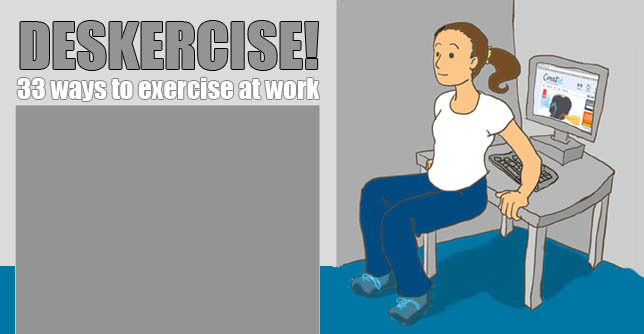 33 Ways to Exercise at Work and come to the realization that you can exercise anywhere and any place! 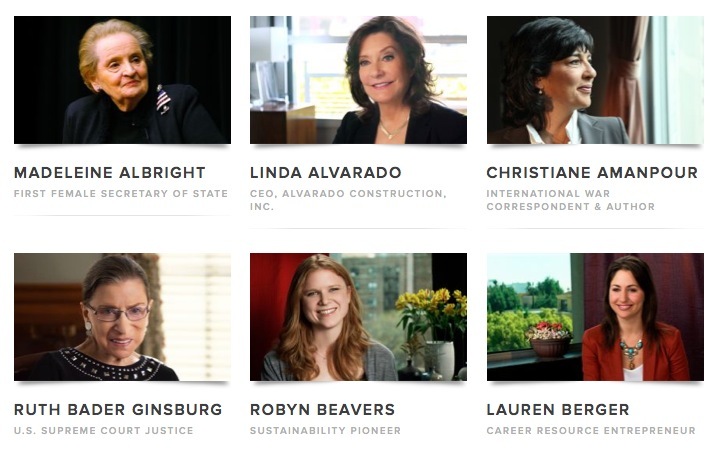 What do journalist Christiane Amanpour, non-profit healthcare advocate Jane Chen, groundbreaker Marian Wright Edelman, architect Maya Lin, and boxer Marlen Esparza have in common? They are among the hundreds of Makers. Makers.com is an initiative by PBS and AOL that “celebrates women who make America.” Watch interviews of these incredible women and their inspiring achievements. Whisk 2 Tbs. regular mayonnaise with 1 tsp. balsamic vinegar, 1 Tbs. orange juice, and 1/8 tsp. salt. Toss with 8 cups of salad greens and top with 2 cups of chopped vegetables – try bell pepper, carrot, celery, cucumber, tomato, and avocado. #4 – What To Wear? With a high school reunion coming up quickly, a fluttering of emails arrived on my computer. “What are you wearing to the reunion?” was the most frequently asked question. Even though I already knew what I was going to wear, it was ironic that I stumbled across a site which provided a helpful video on reunion attire. So if you need help deciding What to Wear, Where, watch one of these videos! Oh do not share the macaroons-it’s payment for raising a delightful son! Your wedding I remember well. Yinette was aglow even though Bob was nagging her for leaving her evening bag behind in the sanctuary, As she was about to go back in, one of the ushers brought it to her. Thanks Auntie Fay for stopping by!